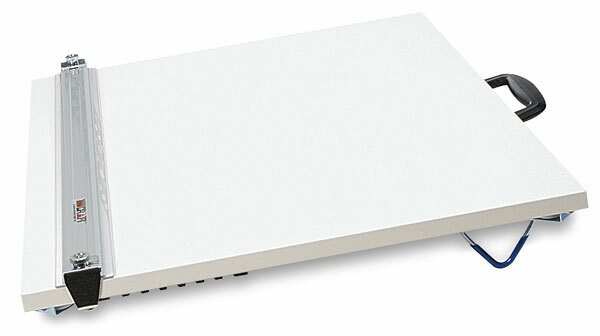 Ideal for field work, these lightweight parallel edge boards improve on traditional design. They adjust for working at various angles, and include a convenient carrying handle. The smooth, melamine-composite drawing surface is excellent for drawing. The parallel rule eliminates the need for a straight edge or T-square. It can also be used to hold artwork firmly in place without marring the surface. ™ Martin is a trademark.® Melamine is a registered trademark.